The season is finally here, my favorite time of the year for food. By food, I only refer to sweets. You know what I’m talking about; fall, and all things pumpkin. I won’t lie, I love fall. I don’t care if its typical, it’s delicious. I’m totally that girl who can’t wait for the day that pumpkin spice is back at Starbucks, and I actually refuse to make pumpkin muffins all year until they are in season. This morning, to celebrate the coming of fall, I decided to try something new. 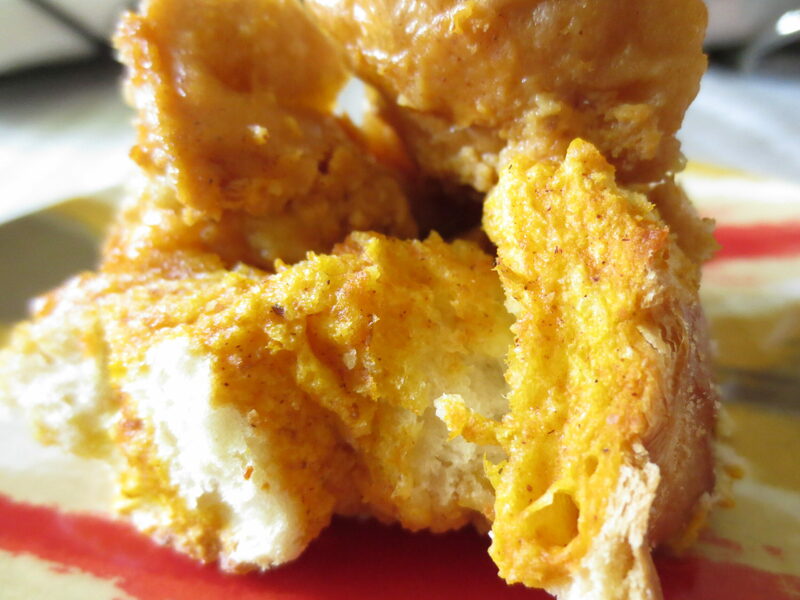 I’ve never made baked french toast, but my time spent on Pinterest has told me it’s awesome. I’ve also never made bread pudding, which is a similar process, and which results in a dessert that I dream about. I figured, for my first attempt at this type of dish, why not choose my favorite seasonal flavor? Pumpkin of course! This baked french toast has a creamy, custard-y consistency that is reminiscent of the best darn french toast you’ve ever had, and it’s got just the right amount of sweetness- we didn’t even have syrup with ours. What I really love about doing breakfast dishes like this is that everyone gets to eat at the same time, and no one is left in the kitchen to eat last. It’s really easy, actually much easier than flipping bread on a griddle all morning. Hope you guys love it as much as I do! 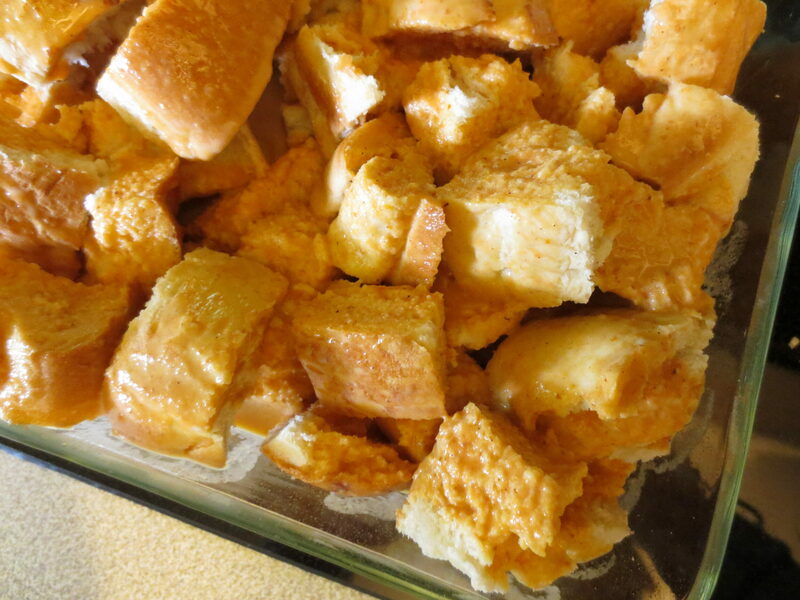 Place cubed bread into a greased baking dish large enough to fit it all- I used a deep-dish 11 by 7 inch glass pan. Mix together all other ingredients with a whisk until smooth. Mixture should be slightly thick. Pour custard mixture over your bread, and stir to coat each piece of bread. Let it soak in for about a minute, then give it another quick toss before putting it into the oven. Bake at 350 degrees for 45-50 minutes, or until the mixture is firm. I am quite the expert on French toast and this was exceptionally good! 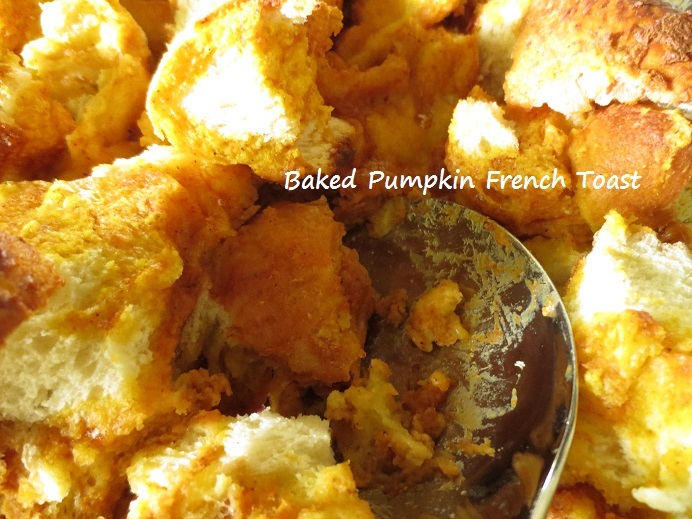 I love that you love fall and pumpkin!